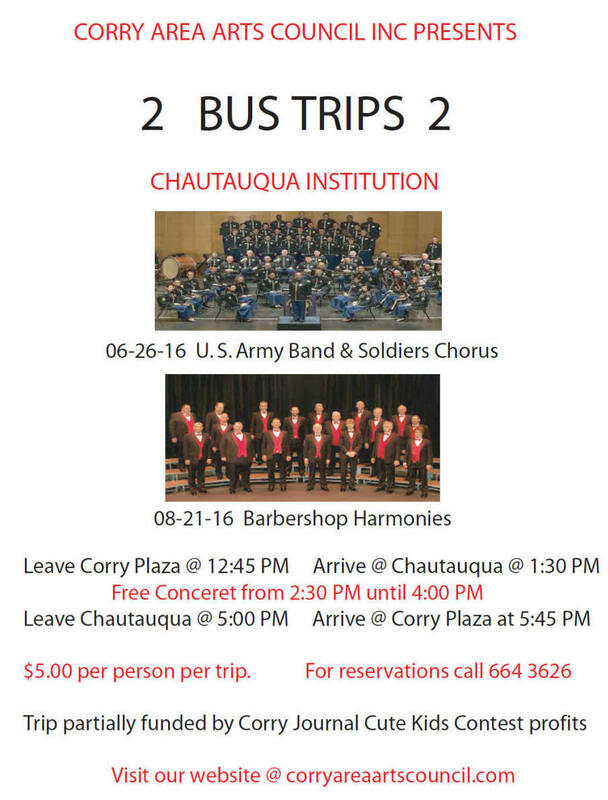 Corry Area to Chautauqua on one occasion this year. section of their business as of July 31, 2017.
times in the past, the program each year is different than the previous one. The D & R vehicle used for this trip is not one of their school buses. It is designed for long distance travel and does have a rest room. 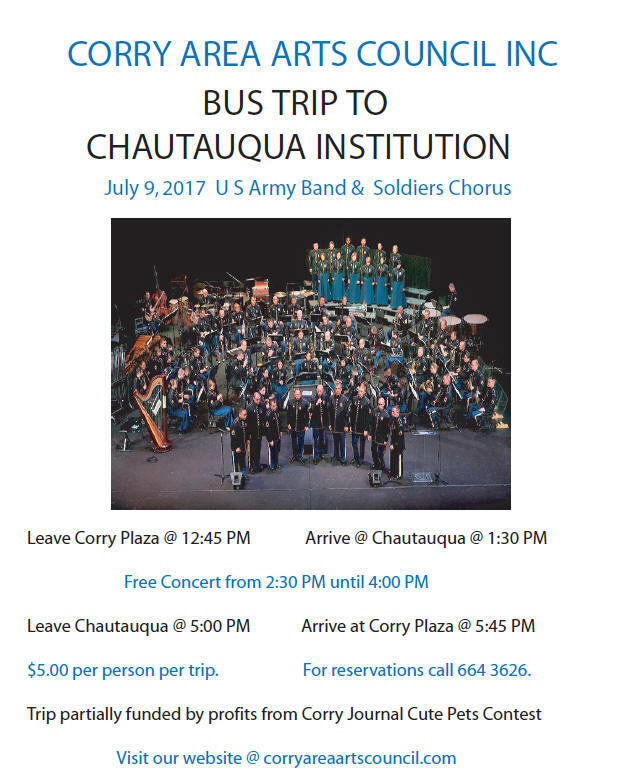 Free concert is from 2:30 until around 4:00 PM. Our bus leaves at 5:00 PM and arrives back in Corry around 5:45 PM. You may make reservations by calling Jim at 664 3626.
entertained by Barbershop Harmonies In Review. at Chautauqua around 1:30 PM. can board, free of charge, and ride to and from the amphitheater. and does have a rest room. Free concert begins at 2:30 PM and is usually over around 4:00 PM. bus. Reservations are on a first come first served basis. Cost is $5.00 per person per trip.